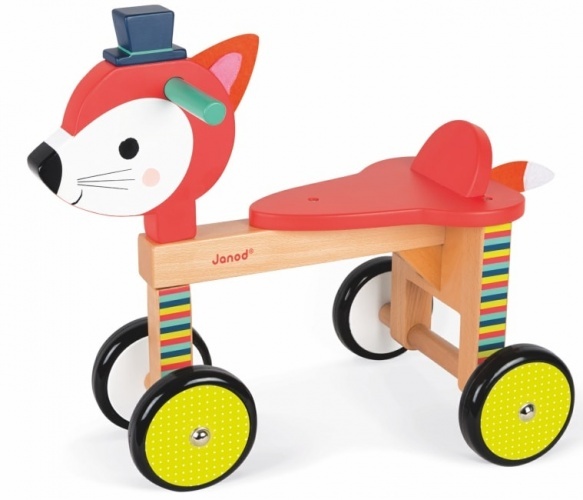 Help your little one develop their motor skills and balance with this quirky ride-on wooden trike from Janod. 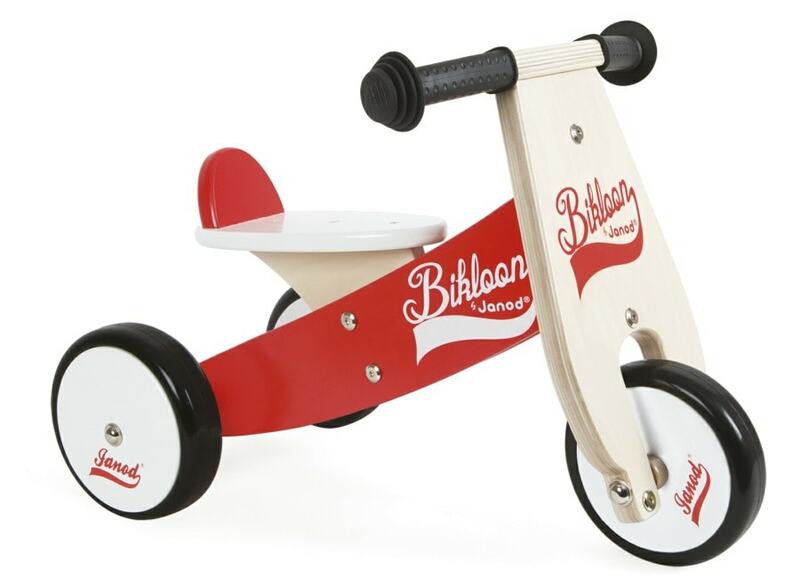 Designed for children between 12 and 36 months, the colourful Little Bikloon trike can be ridden around a local park or even on a soft surface indoors. 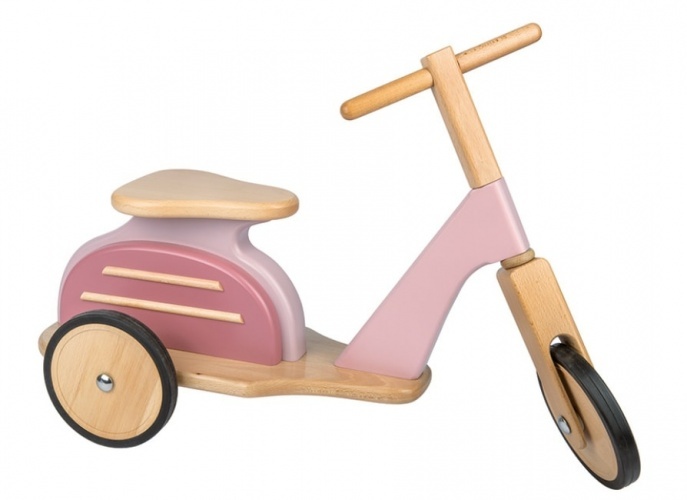 With a sitting height of 22.5cm, the fun, bold trike features silent, rubber wheels which don’t leave tracks behind. Ergonomic rubber handles are ideal for small hands, while the comfortable and sturdy seat has a stop on the back to ensure safe riding for your toddler. 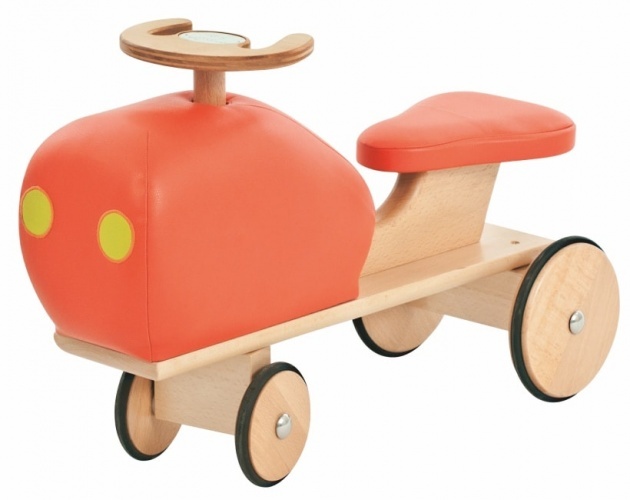 Wooden trike size - 56 x 34 x 37 cm.